*Due to high volume of requests with food restrictions for the kaiseki tasting course, and nature of authentic kaiseki that has seafood, vegetables, meat, egg, and shoyu – soy sauce, we set up course options to provide better experience to all guests. 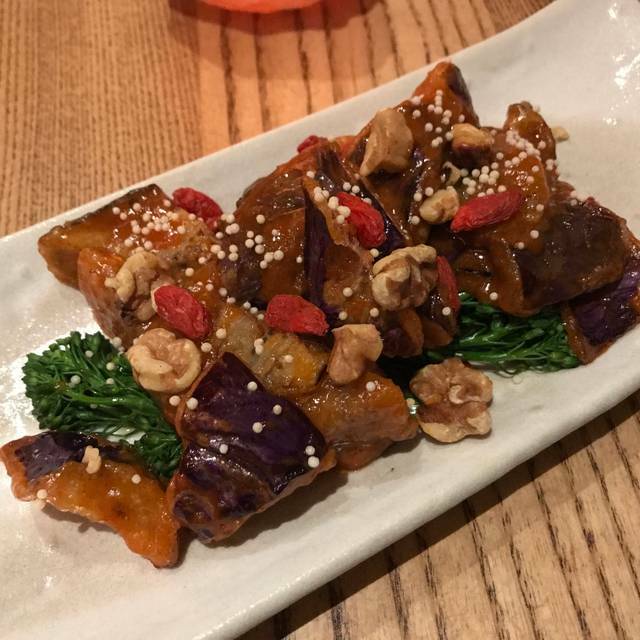 •	Vegetarian Tasting (non-kaiseki) – Our seasonal vegetable selection, no seafood, no meat. Just an exquisite dining experience from beginning to end. The service, ambience, food, beverage program—all first rate. The kaiseki meal we had was by far the best Japanese food we’d had in Boston, and we were a table of five people who are well experienced in Japanese food, in kaiseki and in Japanese standards of quality, craftsmanship, aesthetics and service. Subarashii!!! Some amazing plates. Very fresh fish. Great cocktails. First, the ambiance was very nice. Relaxing, modern and inviting. The music selection was perfect for the experience and the noise level was relatively low. Not crowded nor dead. The sushi was exceptional. Quality and freshness were top notch. Each week new sushi options are flown from Japan, so each visit can be unique and adventurous. It was a treat to have an extensive list of fish that I’d never heard of before. Thanks to our server Trin, I picked the perfect sushi for my tastes. I haven’t had sushi so good outside of restaurants like Nobu! Entrees were also outstanding. Although the portions are relatively small, the taste and creativity are big. if you order some sushi to start and 2 entrees, its more than enough. All dishes had a uniqueness and traditional feel to them. Everything on the plate matched perfectly together so each plate left completely empty! Our server was amazing. Very knowledgeable, friendly and attentive. Dishes were perfectly timed and executed. The head chef even visited our table. He appeared to be a truly humble and respectful individual. Classy, talented and appreciative of our kind words and decision to eat at his restaurant. My wife and I will be back again and I hope to try the full Kaiseki tasting next time! If you want something different, a true culinary experience, and enjoy Japanese cuisine, give this restaurant a try. Chef's tasting menu is amazing. What an amazing experience. The good was incredible and I highly recommend the tasting menu where you can experience everything the chef offers. Also great cocktails and a laid back atmosphere. It was an amazing birthday celebration! 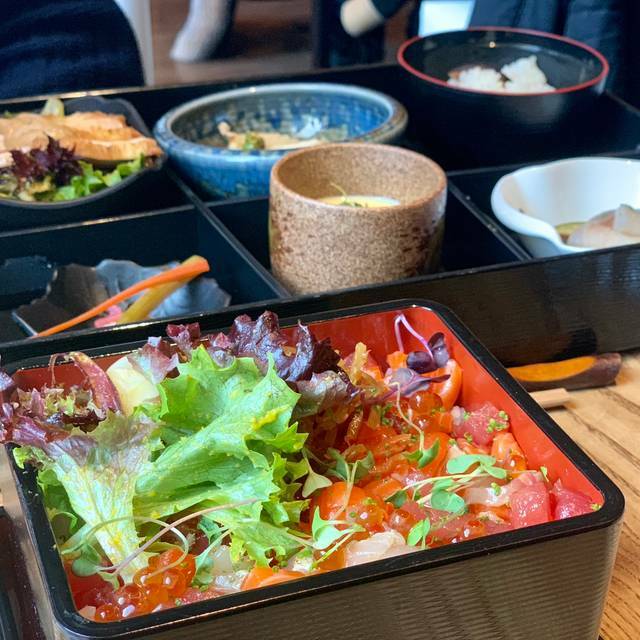 The BEST and most authentic Japanese cuisine in Boston! Thank you very much for dining with us! We appreciate your honest feedback, so that we can have a chance to speak ourselves. Yes, we don't serve sushi/sashimi platters. It's American culture to serve the platter in a decent Japanese restaurant. We are a modern authentic kaiseki restaurant, not a sushi restaurant, however serving authentic sushi, typically no toppings, but brushing with housemade "nikiri shoyu". Please try us one more time. Make sure you tell us you were looking for the platter! 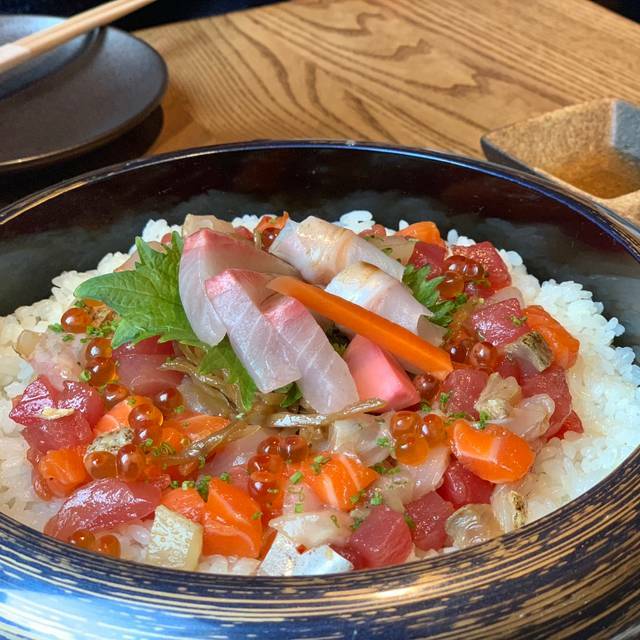 The interior design of the restaurant, the welcoming staff, the knowledgeable bartender and waiters, and the expertly prepared food all came together to make our experience at this high-end Japanese restaurant memorable. 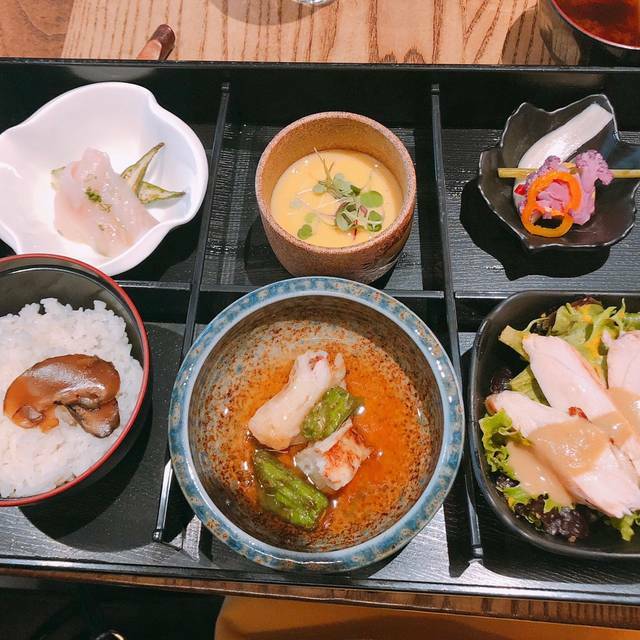 This was our first time at the restaurant, and we chose not to do the tasting menu, but, having now experienced the unique dishes and expert food preparation from the kitchen, we would definitely return for the kaiseki, multi-course dinner selected by the chef. If you do choose to pick the dishes yourself, however, you will not be disappointed. The waitress was very helpful in describing the dishes on the menu and recommending how many of each to order for our party of four to share. Thank you very much for dining with us! Hope to see you again soon. Kamakura is a small restaurant in the Seaport area. They have a lovely staff that are attentive right when you walk in. The portions are great for sharing. Would try to eat early because when its full, the staff have a hard time moving from table to table. Great new addition to downtown Boston dining scene, both for lunch and for dinner. This place takes sushi seriously and it shows! The ambiance, service and food are all very respectful and professional. The lunch options are few, but very high quality and delicious. The dinner menu is larger, and I would recommend trying a number of options and sharing. They also do a chef tasting menu, as well as Omakase at the sushi bar itself. 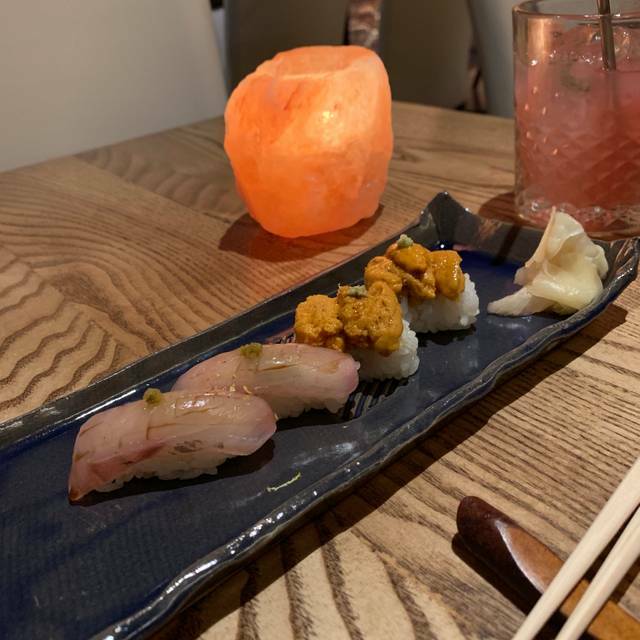 Some of the sushi options are things you will only find at Kamakura - not because they are extreme in their creativity necessarily - but because they are from Japan and prepared with attention to every detail. Kamakura also has an impressive Sake menu, and when appropriate, it is served in the traditional heated manor which makes it so smooth. For any fans of Japanese food, this is a must try. This was truly a special experience. We had the 8 course tasting menu with sake pairing for each round. A new gem to the Boston food scene. 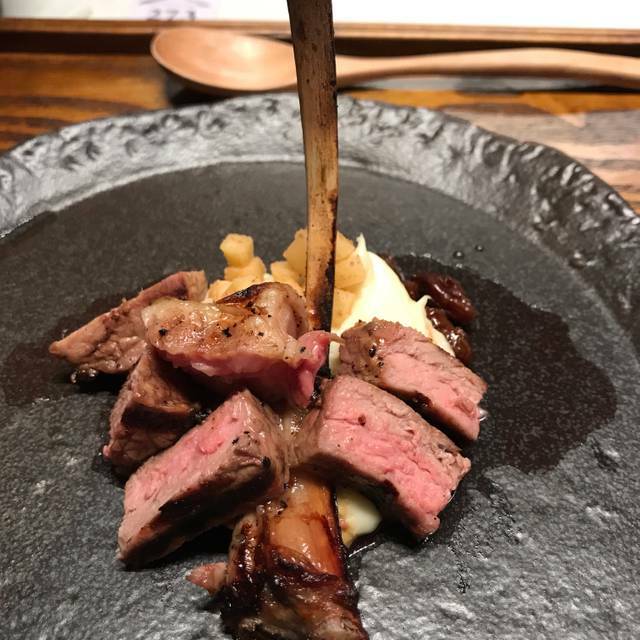 Kamakura serves terrific and oh-so-elegant Japanese that is well plated and very tasty. Unfortunately very overpriced for the quality. I don’t think this place will make it and would not recommend to a friend. A shame given the owner put a big investment into it, but didn’t quite live up to that investment by trying to pass it onto customers. Truly unique and special dinner experiencing omakase at the Chef's Table here. Distinctive, balanced flavor profiles served with creativity and impeccable presentation. Rare, delightful protein selections (e.g. blue nose sea bass, uni with gooseberry). Our best dinner in Boston in the last 18 years, do not miss Kamakura. Loved the food. Staff made it even better. Will be back. The best casual Japanese meal I’ve ever had in Boston! I was completely impressed by my experience at Kamakura. I was first impressed by the personal service of the manager and the waitress. They made us feel like we were the only people in the restaurant. Then the food came. Expecting traditional sushi, we were pleasantly surprised by a sampling of savory tastes and textures. Last but not least, the restaurant is beautiful. Be sure to take the time to visit the roof deck. It has a retractable roof, which I am sure is incredible during spring, summer and fall. I highly recommend Kamakura and am looking to go back again the next time I am in Boston. Great overall. Great food, drinks and exceptional service. Coming back for their tasting menu. Pleasant space with great views, very friendly and knowledgeable service - we got excellent recommendations regarding sake pairing. However, the food was pretty disappointing - it wasn’t bad, but there was nothing special about it. I’d give the food a rating of 2 1/2 stars at best. At the price levels that are being charged at Kamakura, you’d expect something exceptional, and that’s definitely not the case. I don’t think I’ll go back. I enjoyed the duck, but it would have been lots better if it was at least the size of an appetizer rather than an amuse bouche. Although the staff explained that the plates were small, they are more than small. For a normal appetite, I would expect one would have to order at least 5 or 6 small plates. The crab salad would have fit in one tablespoon. The food was just okay but for my buck, I'll put it elsewhere. Extraordinary quality and service. If your retirement plan is on track you have to try this! Authentic Japanese food. Everything was delicious. All of us(all Japanese) enjoyed bento box (ruby). We will definitely come back. It's worthy of your best of friends and partners. You'll get points for picking this special place. Kamakura was super delicious. Everything from the ambiance to the food to the service was exceptional. I loved the sushi palette, beautiful presentation and tasted very fresh and flavorful. The vegetable soup was also amazing, full of delicious flavor and healthy too! Also I definitely recommend the crispy rice, seasoned black cod sashimi, and unagi chawanmushi. Also the confectionary Japanese confection dessert is mouth watering! Elegant interior, attentive and helpful service. Fantastic sake and whisky menu! A bit pricey, but that's par for the course with this type of restaurant. Delicious options with a surprising number of vegetarian choices. My sashimi sampler melted in the mouth, :-). 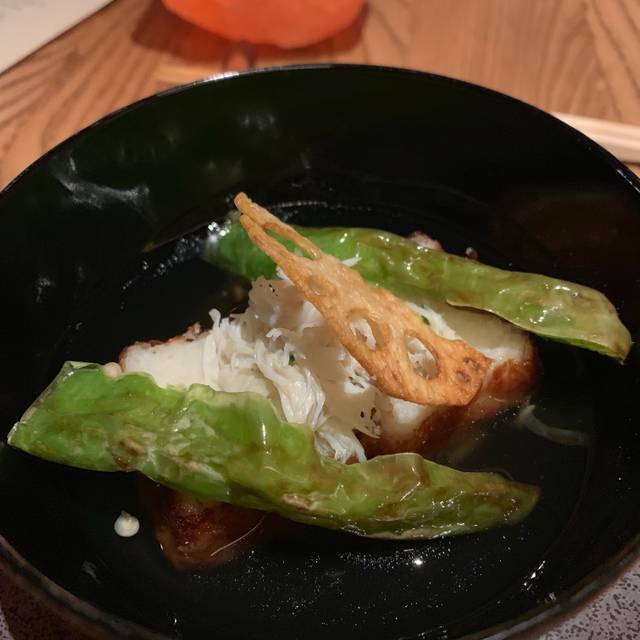 The food was delicious and the experience was really unique, it was quite pricey so I would really only recommend it for a special occasion and for those who are a bit adventurous as the tasting menu is not just regular sushi. I will definitely be back from their a la carte menu! The cocktails were also really amazing! Youji continues to wow and amaze with his incredible skill in this stylish space! We explore new restaurants and foods as a Christmas Eve tradition and this was a remarkable journey! Wonderful food and such a wonderful experience. Loved the place. Food was superb. We will be back. Lunch was mediocre, at best. The poke bowl had literally six little morsels of tuna and salmon: the rest was just rice. We came in hungry and left just as hungry. It's nice to finally have an authentic top class Japanese restaurant option in the Boston are. The place is beautiful and very well arranged, the food is fantastic, very original and delicate. I will definitely recommend Kamakura to my Japanese friends who long for some real taste of home, and to all amateurs of Japanese cuisine. Fantastic restaurant - may be the only one of its kind here in Boston serving authentic kaiseki as well as a la carte. 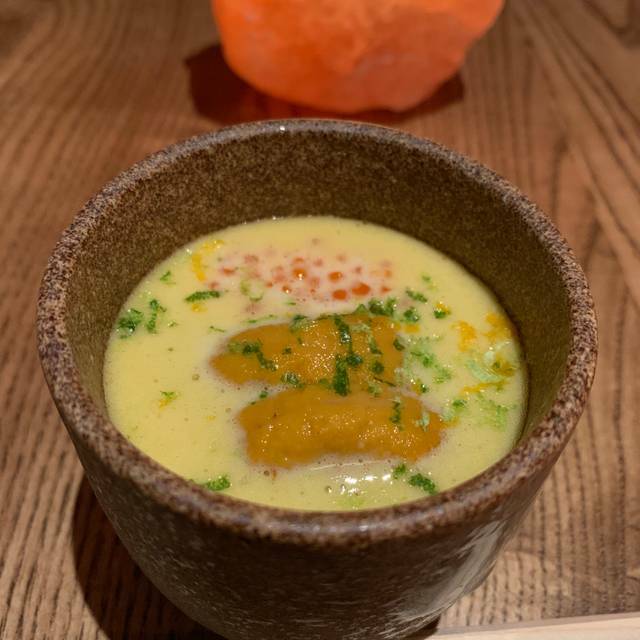 I made a reservation here to celebrate a friend's birthday as I know she enjoys small plate-style (tapas) cuisines and thought it would be reminiscent of their recent honeymoon in Japan. We went with the kaiseki tasting so we can get an overall feel of the menu, but disappointingly, their sake-pairing is not yet available; our wonderful server ended up giving us a free-style pairing based on the dishes that came out. At a restaurant like this, you are expecting to be served tiny portions (and I do mean TINY) with a steep price, but you are basically paying for the experience and story-telling that each dish pro-offers. There were 7 dishes total for the kaiseki, and we even had to order more in order to feel some semblance of fullness. Their cocktail menu is worth exploring as they had a variety of harder-to-find liquors. I would definitely return to this restaurant to splurge again! I am curious to see the additional plans they have for their menu/restaurant in the future, including the Kumo Skybar and Lounge. Kamakura was delicious!! I was so excited to try this place, I've heard so much buzz about it. I love Japanese cuisine, and Kamakura really excels at offering authentic Japanese cuisine. Their sushi palette was amazing- such a beautiful presentation and really fresh and flavorful. The peppers and soup was also super delicious. I'm already looking forward to my next visit. The ambiance is very modern and classy. Yes the menu is a little pricey, but this is an upscale restaurant and the food is high quality, so that was totally expected. The food is worth it, it's incredibly authentic, high quality, and distinctive. The food was very good but the menu was limited and price value was high. Bill was over $200 and I was hungry when I left. The atmosphere is good but the only good experience for food is a can of soda and sushi which don’t need much cooking skills. 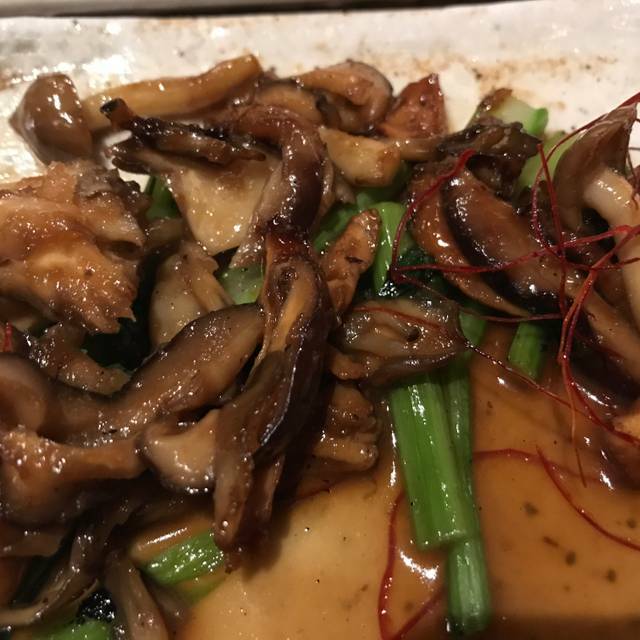 The 35$ wagyu beef is so bad, it looks rare but taste like well down, and the mushroom which is their favorite food use a ton of oil and another ton of sugar.